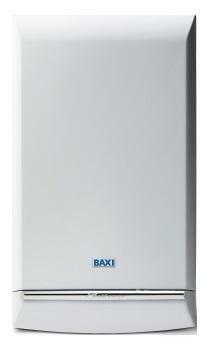 The Platinum Combi 28 Gas Boiler is a wall mounted model by Baxi. Coming with an output of 28KW and rated A for both heat and water this boiler is highly reliable. With its flow rate being 11.5 litres per minute it’s a reliable boiler for hot water, so you'll have the security that you will never be without hot water. The boiler is able to adapt output to demand without switching off. It features an easy to use built-in mechanical clock and filling loop. The boiler is also available in 24kW, 28kW, 33kW, and 40kW versions meaning there’s a boiler to suit both you and your home in this range. Coming with a pre plumbing jig, pre-formed copper pipe tails, a built in filling loop, and 1 metre mains cable, as well as being a compact boiler are just some of the ways in which it makes it a super easy and quick to install. It also comes with a built in frost thermostat helping meaning it’s easier to be placed in a garage or loft for those smaller homes. With the frost thermostat you never have to fear your boilers water freezing. This boiler is compatible with multifit flue kits which provide the industry with choices of lengths and bends and accessories allowing for you to be able to adapt your boiler to your homes needs. This boiler comes with 10 years warranty.